Roger Federer did not know what to expect when he touched down in Australia in 2017. The then 17-times grand slam champion was 35 and coming back from a first surgery-enforced absence to the sport he dominated for more than a decade from his maiden Wimbledon title in 2003. The six months off, however, appeared to be positively cathartic as he provided arguably the major talking point of the tennis circuit by reviving a career that pundits thought could be over with the injury. He beat Rafael Nadal in an epic final to win his fifth Australian Open crown and then clinched his eighth on the grass courts of Wimbledon to finish the year with seven titles and the world number two ranking. 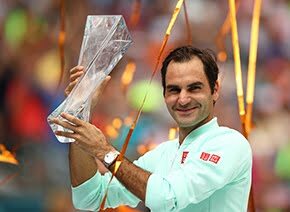 However, Federer, who begins his 2018 campaign at the combined teams Hopman Cup tournament in Perth, recognizes that while expectations this year might be a little higher, he was trying to ensure they did not get out of control. And after touching down in Perth ahead of the Hopman Cup, Federer said: "I had a great off season. I mean, I did have a good off season too last year but I just wasn't sure what to expect. "Now expectations are higher but at the same time I try to remind myself just don't think it's normal and realistic to aim for the same things I did this year in 2017. "I've got to try and keep it cool. Try my best and see what happens but the preparation's been good so far. We'll see how things go." Federer previously used the Kooyong invitational tournament to warm up for the Australian Open but returned to the Hopman Cup last year to team up with compatriot Belinda Bencic, where the pair finished second in their group. "It worked out perfectly this year, winning at the Australian Open. Of course, that's a good omen. I hope that winning or losing the Hopman Cup is going to be good for me. "Obviously looking ahead to Melbourne, I really hope that Hopman Cup's going to give me everything I need here. "I had a wonderful time in 2017. 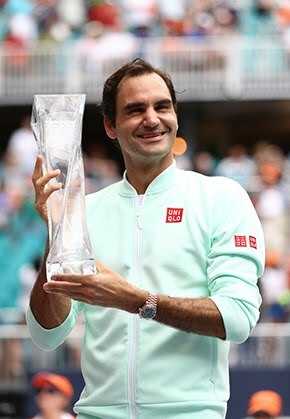 I can't wait to see all the fans again because they came out in big numbers and supported me," Federer said of starting the season in Perth, where he and his 20-year-old partner will face Japan, Russia and the U.S. in group play.